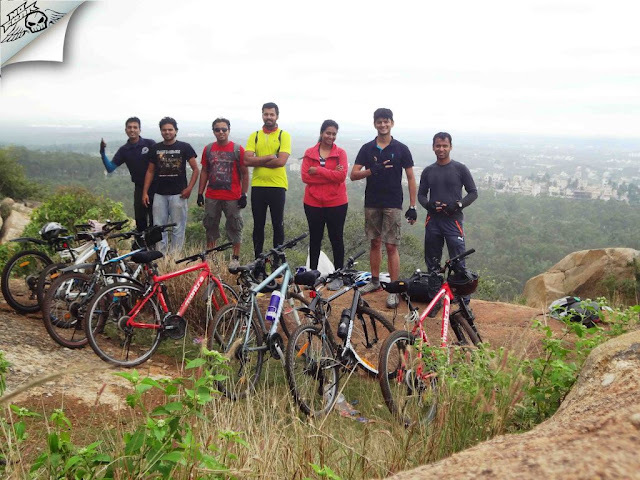 Unlike my usual trips, this one is a different of its kind as I will be cycling all the way with Bangalore Trekking Club (referred as BTC here onwards). If you are hearing about the BTC for the first time then you better check this first. Every week I used to see new events post by BTC but never dared to register, I was always scared of meeting unknown faces and adjusting with them. But all my worries were resolved the moment I met them. 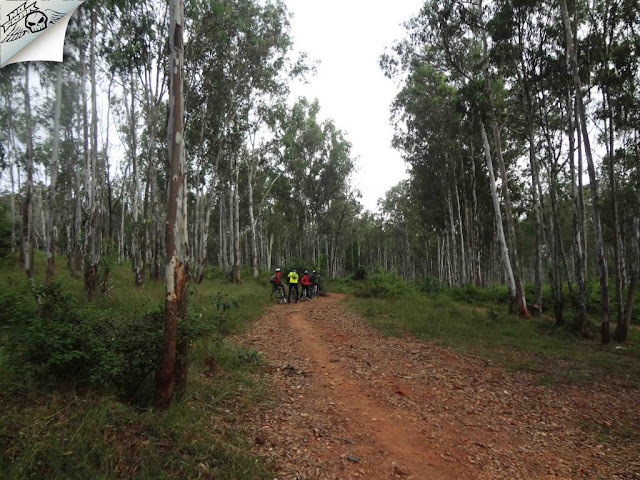 Registered for the Cycling to Turahalli Forest, though I had visited this place three times before I wanted to explore it on cycle once. No doubt its the best destination to start your cycling journey. 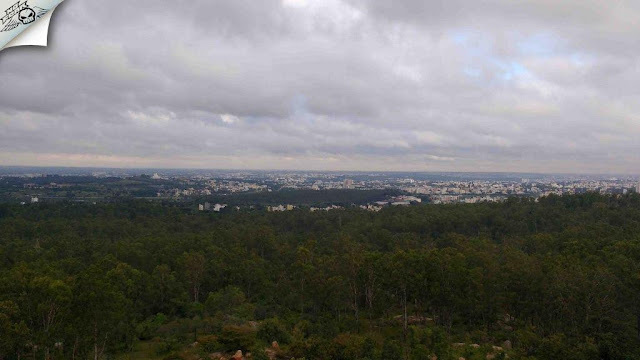 Turahalli Forest: Also known as Karisma Hills, Turahalli is one of the few forest traces near Bangalore. Turahalli, a dry, deciduous forest of 800 acres, is dominated by eucalyptus and other native shrubs. 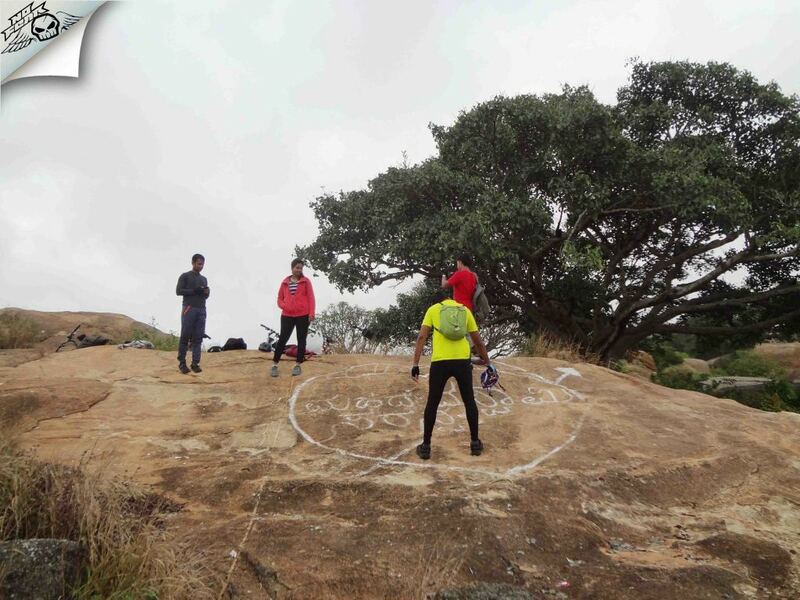 Its a destination for the Rock climbers and Bird watchers. 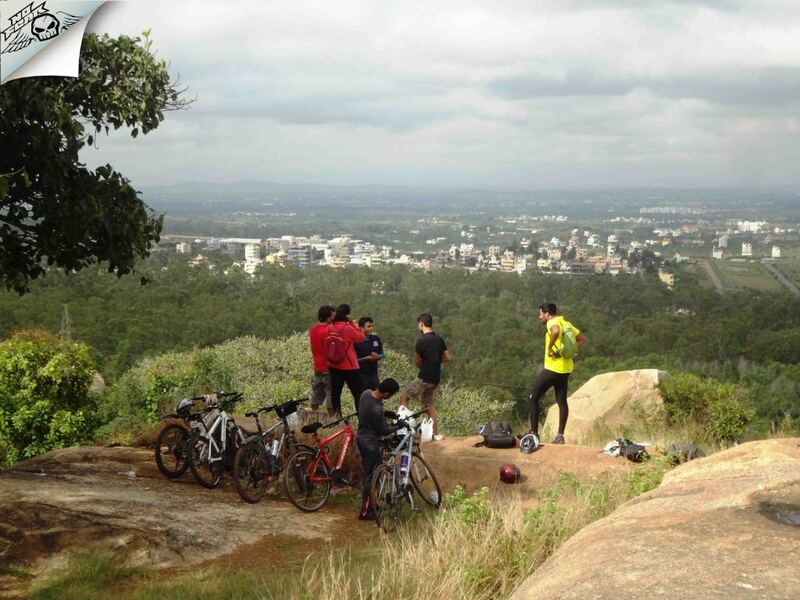 Closer proximity to the Bangalore attracts many Cyclists who are looking for a short yet good cycle ride. Sunday Morning: Woke up at 4 in the morning, got freshen and left home at 5.15. 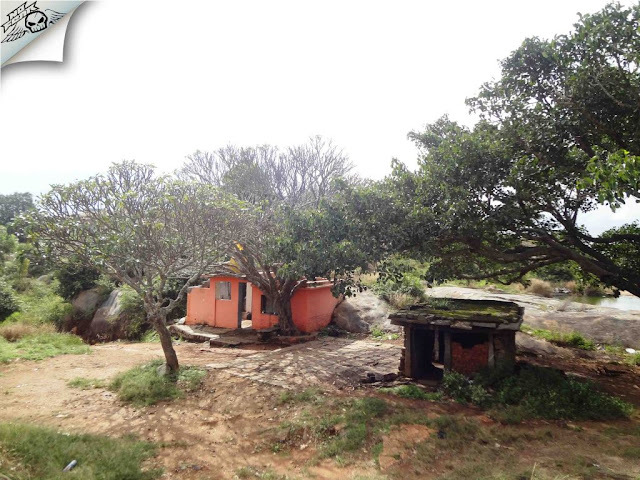 Vijaynagar - Banashankari: Though Turahalli forest is just 10 km from my home the assembly point was Banashankari which itself is 15 km from my home. This was the first time I was venturing on a bicycle which turned out to be a most memorable trip. 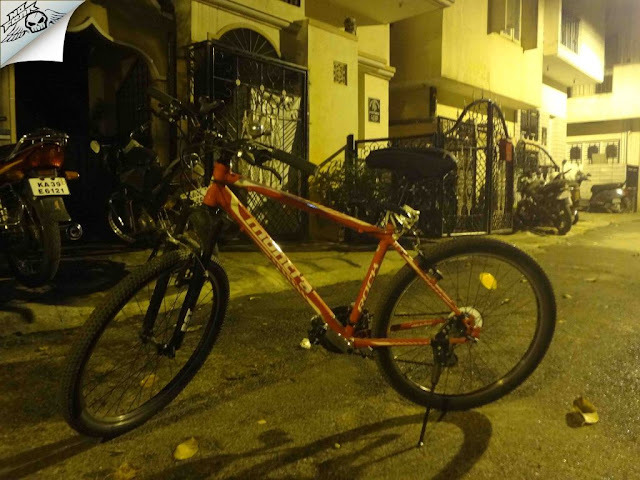 I realized that riding bike was much easy as compared to pedaling yourself, I began observing how many ups and downs are there on the road (No it didn't remind me of any ups and downs of my life :P). It was still dark and cold but pedaling kept me sweating and warm, I was afraid if all my energy goes down before I reach the assembly point. Took nearly 45 minutes to reach Banashankari, I called organizer Hiren who said they are waiting underneath the Metro station. There were 4 people at the spot, waited 15 minutes more before everyone could join. Finally out of 9 people who registered 7 people showed up. We had a small intro before we started, people had come from different places like Indiranagar, BEL circle, Kadgudi etc. After hearing this I felt good as I was not the only one to pedal so long to reach the event starting point. 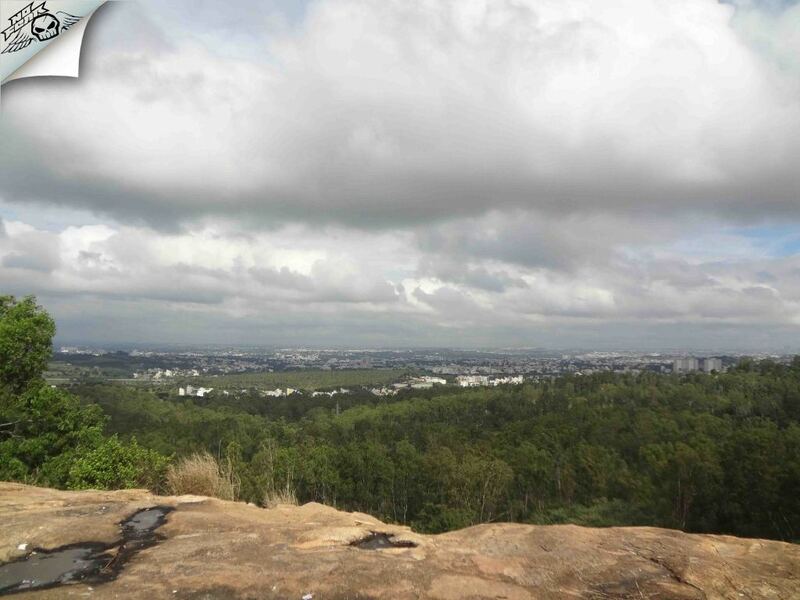 Banashankari - Turahalli Forest: Turahalli is just 8 km from Banashankari, so its easy 30 minutes ride. We headed on Kanakpura road, Hiren was leading the way while Subrata was tailing to make sure everyone is safe and sound. It was crowded at the beginning but later the road was empty. We got breakfast parceled at Adigas on the way. The road is down slope all the way until you take right diversion after 7 km at Vajarahalli. Unfortunately, we missed the turn and headed 2 more km and stopped at Nice road Junction, GPS guru came for rescue which navigated till Turahalli Forest. There were a couple of cyclists on the opposite directions, we entered the forest trail. The road turned from tar to mud road, with a tree surrounded in all directions. As soon as you enter the forest you realize you are no more in Bangalore. After half a kilometer, a left turn leads to the summit, its hardly 200-meter steep up ride. There is a Temple at the summit and open space. 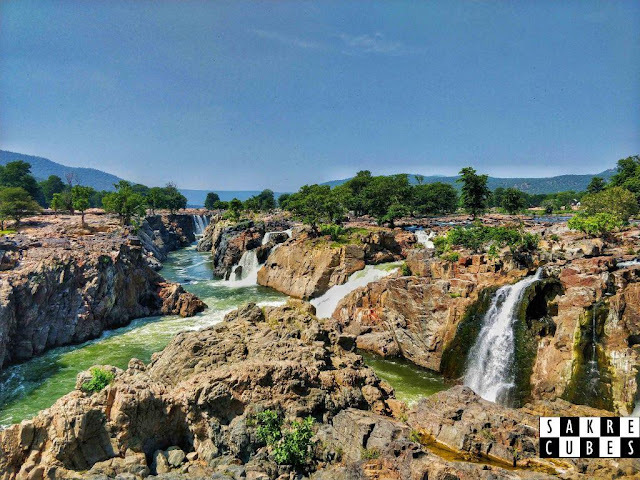 There was a family with two kids, no doubt its the best place to enjoy Sunday with your family at a serene place like this. Climate was fluctuating drastically, it was drizzling most of the time. We sat there talking about trek experiences when people of the same interest meets topics could go endless. Meanwhile finished the breakfast enjoying the beauty of the place and climate. When I visited this place for the first time 2 years back I had spotted a lot of Peacocks but after that, I never saw them again :( where did they go? The beauty of the place is ruined because of the jobless people like this. After small photo session we decided to leave. BTC has policy of giving feedback at the end of each event. 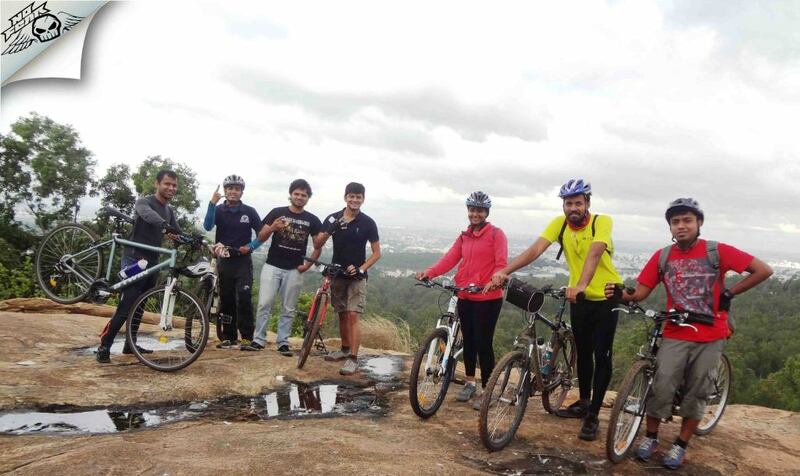 Everyone gave feedback about the event, it was first cycling event arranged by the BTC. My room is hardly 10 km from the place, so I told them I'll take a different route and go solo. I pedaled all the way back and reached by 10 am. 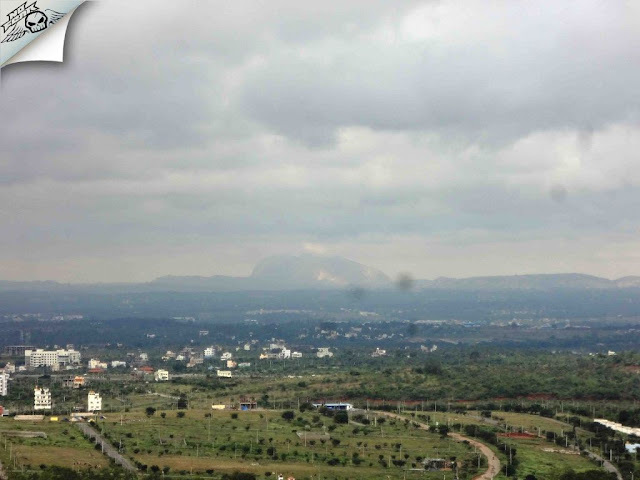 You can also visit Omkar Hills and Shanmukha temple on your way back, I recommend you to read below posts where I have explained every bit of the destination. 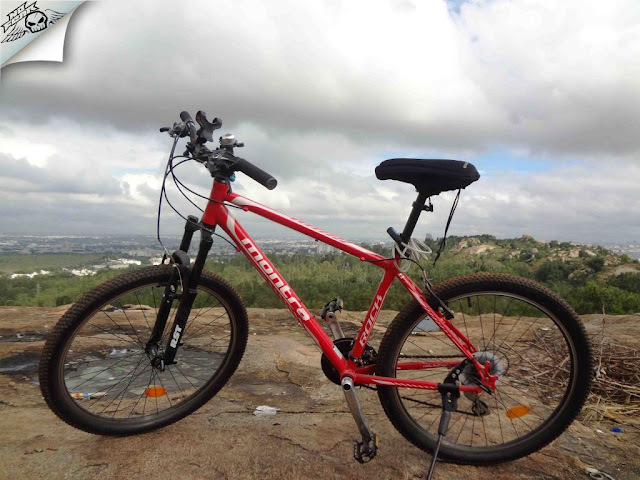 Special thanks to Mr. Dwarakesh who let me lend his cycle and thanks to BTC for arranging such event.